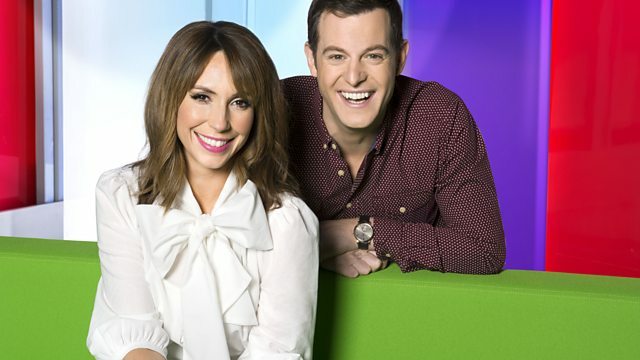 Oscar-winner Alicia Vikander joins Matt Baker and Alex Jones in the studio and Angela Rippon launches the One Show NHS Patients' Awards. Browse content similar to 05/03/2018. Check below for episodes and series from the same categories and more! The One Show, with Matt Baker. the extra mile in the NHS. you can take part in a moment. You chose the wrong family! She is here, thank goodness! morning and I did like most people. well do the best actors! through the snow and ice. with their care and compassion. a 'thank you' can make. that we all rely on. sure I was not in too much pain. because they give me toast. to, what does that mean? those memories are very important. we are doing it for! think people appreciate what you do? days. We had a room decorated. special was that day for you? much I would like to thank you. Bless you! Give her a hug! trying to say thank you? Any opportunity to say thank you! work, I work with adult inpatients. approach. How far away do you live? was a bit scary, well vary scary. year, three and 65 days a week. emotional time in somebody's life. but also colleagues within the NHS. people on reception, the volunteers. had on a person and their family. permission to make that nomination. a big awards ceremony night. want all those nominations in. little girl? Let's just go home. action. You never stop moving. needed some help patching up! that felt like it was something new. are more forlorn than this. which is definitely a big change. physical aspect really intrigued me. It goes away so fast! but give us the rough story of this. It starts in the UK? wants to fight for her own destiny. from two minor roles were men again. running around, looking for them. the dark sky? I am sure you know. downbeat in the river again. Jopson will be your new best friend. straight from our own star, the Sun. natural wonder down here on Earth. gives us the earth's magnetic field. the UK to see the Northern Lights. energy funnelled down from space. an idea of that drama and splendour. violent, Opel and gold it came. in equal measure, modest as well. moment of a had come.